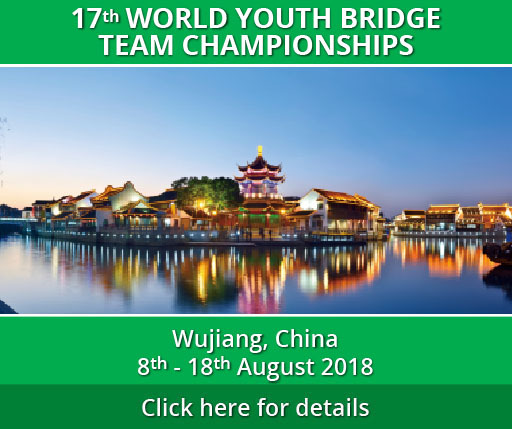 The entries to the 17th World Youth Teams Championship must be submitted electronically,via the WBF website (not by email) and should be made before 1 st June 2018 wherever possible. Players, Captains, Coaches and other Team Officials in WBF Championships are required to have signed the WBF Competitor’s Commitment before the start of the event. The Competitor’s Commitment is binding and the absence of a valid signature renders the competitor ineligible to participate the championship. The NBOs are directly responsible for the fulfilment of the above mentioned mandatory requirement. 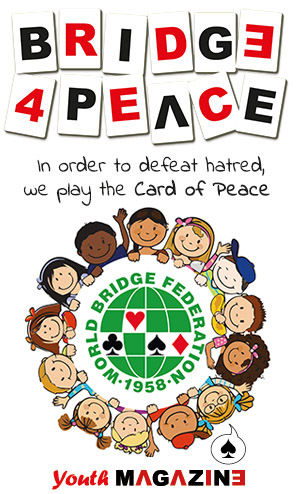 or may be obtained from Anna Gudge (anna.gudge@worldbridgefed.com). The signed copies must be scanned, not photographed and returned by email.